Workforce Ready is a new elective course offering from NCVPS. The course will launch in the fall of 2018. 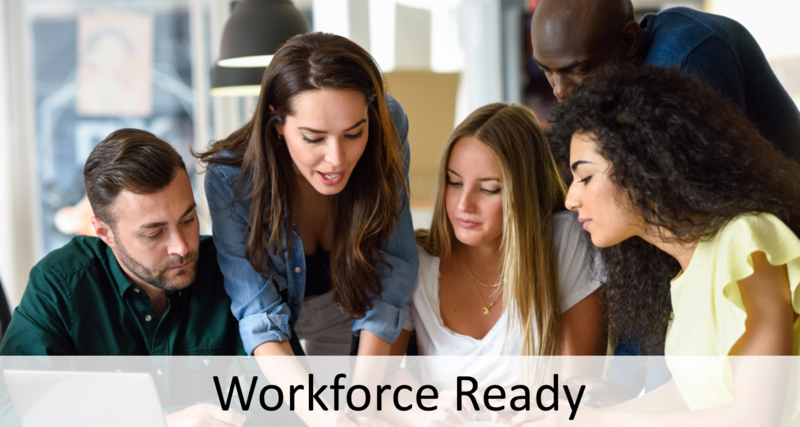 Workforce Ready is intentionally designed to involve students and make them firsthand participants in a variety of topics. Course Description: In this course, students will look at what it means to be prepared for the workforce of the future. They will examine what soft skills employers seek and how to manage workplace communications and conflicts. Students will apply the concept of professionalism, review problem solving and decision making, and learn basic expectations required for a job. By viewing videos of leaders in NC industries, students will gain insight into career clusters and look at how employability skills apply within those industries. Collaboration: Using discussion forums, students will communicate with one another on topics related to employability. Students will also collaborate with their instructor as they build an e-portfolio of information throughout the course to highlight their journey. Instructor feedback will be given on all work.